Tesla has not only put some of the world's longest-range electric cars into production, but its cars also happen to house some serious performance specifications. 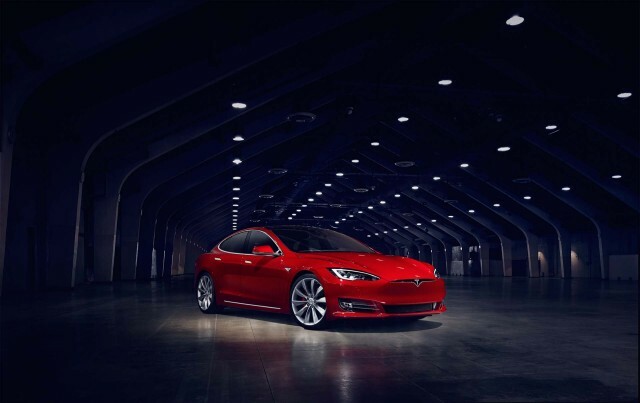 Everyone knows the P100D versions of the Tesla Model S sedan and Model X SUV are capable of accelerating at lightning speed, thanks to the instantaneous torque available at zero RPM from their electric motors. Now, both electric cars showed a Lamborghini Aventador SV owner just what power without an internal-combustion engine can look like. The video above shows a Tesla Model S P100D and Tesla Model X P100D both racing a Lamborghini Aventador over a quarter-mile race. In the process, the Model X P100D owner hoped to break the world record for quickest SUV—and accomplished that with ease. As always, the ultra-high-performance Ludicrous mode was essential to unlock every ounce of power provided by the battery pack and motor. As the staging light turned from yellow to green, the Model X P100D jumped off the line and simply left the high-performance Lamborghini behind. Even with its large-displacement V-12 engine, the Italian supercar's gobs of power aren't enough to pull the Model X P100D back into its sights until the very end of the quarter-mile race. If the race had lasted just 1 second longer, the Aventador SV would have walked away a winner—but as the video shows, the Model X P100D crossed the line 0.05 seconds ahead of the Lambo. READ THIS: When a Tesla Model S and Ferrari drag-race an electric van...what happens? As the Tesla Model S P100D lines up against the supercar, things look equally promising for the lighter all-electric sedan. However, the Model S P100D driver got off to a slow launch and the Aventador SV was able to pull away before the Tesla could connect to the pavement. While that allowed the Lamborghini to win the first round, things changed at the rematch: this time, the Tesla Model S P100D hooked with ease, and despite a close race, finished tenths of a second ahead of the Lamborghini. 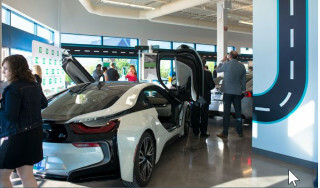 Neither car is a relative bargain, but they do show the performance potential attached to electric motors and their accompanying battery packs. And neither the Model S or Model X were designed to be sports cars from the start. It's worth noting that maximum acceleration in a performance Tesla requires a fully-charged battery, so the cars that were dragged likely couldn't have knocked off those same times all day. And of course drawing that much energy from the battery for maximum acceleration will have some impact on range: the Aventador is likely able to travel far further at speeds of more than 100 mph than a Tesla.